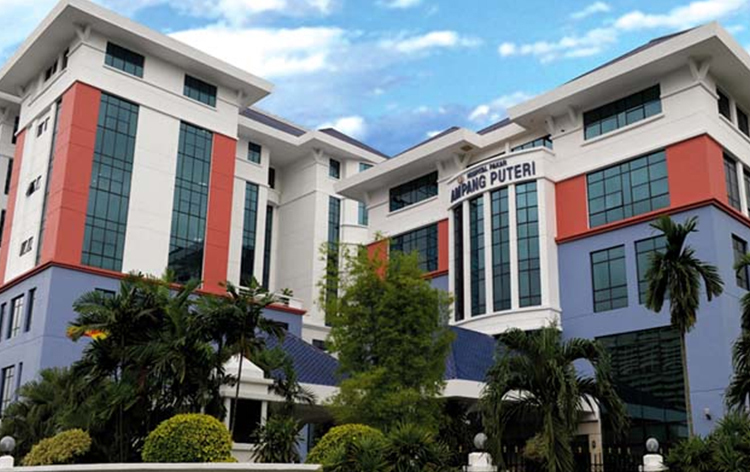 KPJ Ampang Puteri Specialist Hospital is a leading multispecialty hospital in Malaysia established by KPJ Healthcare Berhad (KPJHB), the healthcare division of Johor Corporation. The 200-bedded medical facility has a contemporary infrastructure suiting to international standards and is committed in delivering exceptional healthcare services and personalized care to all patients. The hospital offers outstanding outpatient and inpatient facility along with critical care and emergency services and is fully facilitated with modern equipment and advanced techniques. KPJ Ampang Puteri Specialist Hospital houses a team of over 60 medical professionals, highly qualified and specialists in their field, and 800 experienced support staff. Information KIOSK machine is located in the lobby is provided to give patients a full picture of the hospital. Nearest Airport: Lapangan Terbang Sultan Abdul Aziz Shah Airport is 33.2 km away from the hospital and takes approximately 50 min to reach via road. Nearest Bus Stop: Ampang Point station which is just walking distance away from the hospital. KPJ Ampang Puteri Specialist Hospital performs 386 different procedures. Click on a procedure name to see more details and to view doctors for that specialty.